Well it being a mild case I would just give it water for a feeding or two. The clawing that is evident now won't change but what you will be looking for is that no more appears or the current symptoms do not worsen. 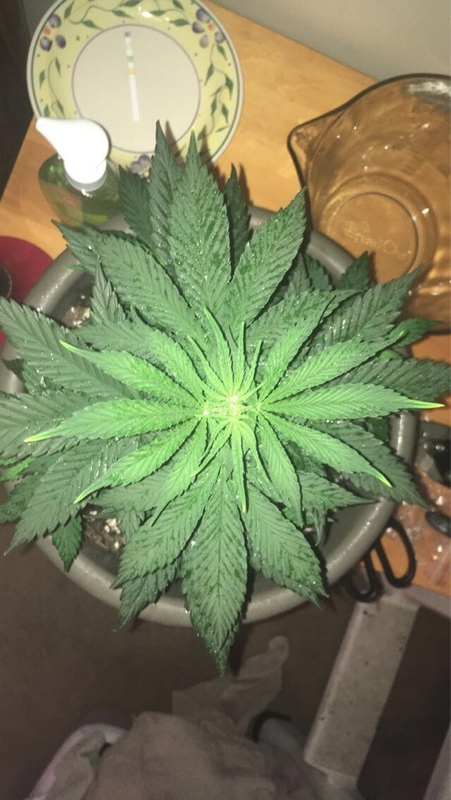 What nutes r u using and how old is your plant. What do u pH your water at and what is your temp at? All of those things seem to be in order, do you check the pH level of your water after you have mixed the nutes to it. 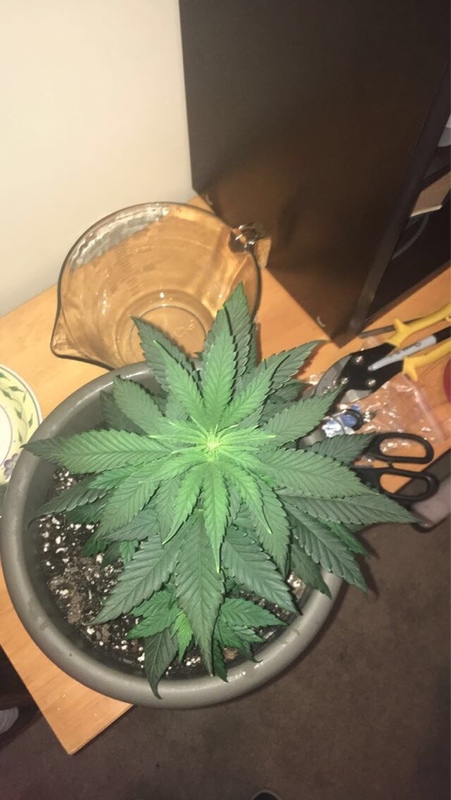 Pics of all the plants today they r looking much better noticed some yellow spots on one of the leafs my best guess is it's from the nitrogen over dose , going to give them a couple more days and see if I notice more improvements. 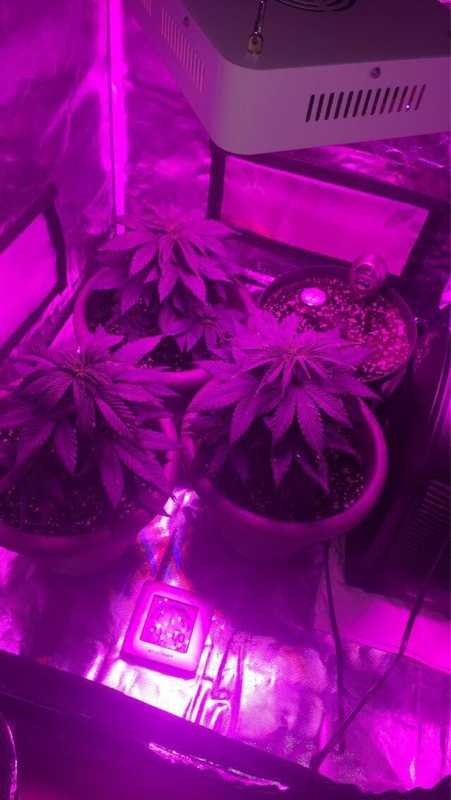 Aye up guys, real noob question here but my feeding schedule is on a weekly calender however i water them more than once a week..
Give them the nutes once a week and any other time they need a drink it should be pH'd water only. I divide my nutes in two and feed twice a week and they get no plain water. Plain water is for flushing, lol (or when the medium is 100% nutritionally complete). If one isn't overfeeding, those things don't have a chance to build up. There are still waste products, but they - and their concentrations in the medium - are a factor of plant growth, how they are fed, how much they're fed, whether its a sterile medium or an active biosphere, et cetera. My gut tells me that a periodic flush is beneficial. As for the feed / feed / feed / water , feed / feed / feed / feed, feed / water / feed / water, etc. debate... Many ways to arrive at harvest. Personally, I think that giving them milder doses with every watering is going to be better for the plants. We try very hard to ensure that our plants' environments do not vary. If all other conditions are kept the same from day to day, it is reasonable to do the same thing in regards to feeding. If it's hot and windy all day, your plant will use more water than it did the day before - but it won't use any more nutrients, assuming the same amount of light-energy falls upon it (well, this is not absolutely true, because one or the other situation might change the temperature enough to affect how much energy the plants can process, but...). This stuff might be easier to get if the grower runs a DWC grow at least once, lol. Basically just the plant sitting in (hopefully) highly oxygenated nutrient solution. By monitoring pH and EC/TDS levels, one can easily see when the plant has used/transpired more water than nutrients (water level goes down, EC levels go up because there's a higher concentration of nutrients), et cetera. 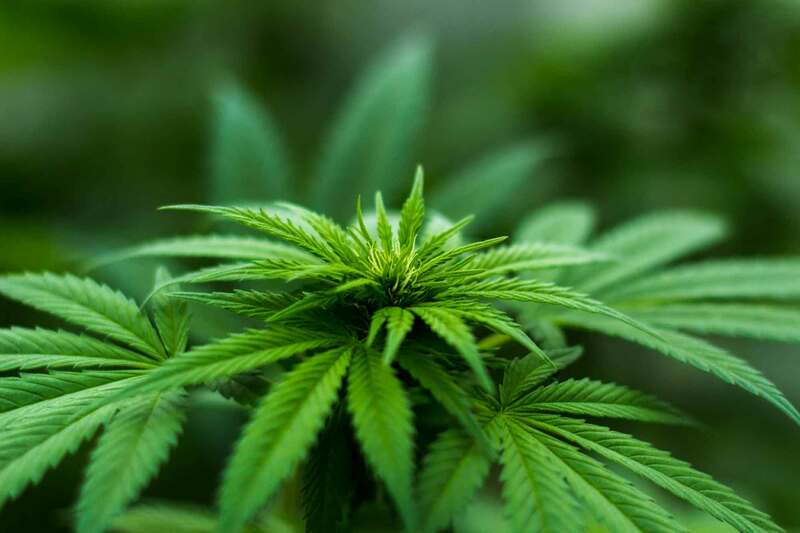 Changes that the grower makes tend to have a much quicker observational effect. And if there is an issue (other than plant death ), it's relatively easy to change the solution. People talk about soil grows (vs. hydroponic in general and, specifically, DWC) and how the soil provides a buffer - and this is true. But this can also mean that, by the time there is visual evidence of a plant issue, that the balance of things in the medium has gone wonky. Then the grower wastes (okay, uses) a lot of water on a 3x flush of the medium. And that's step one, lol. OtOH, a grower can kill a plant much quicker in DWC than in soil. Accidentally add WAY TOO #%^&ING MUCH SILICON (don't ask :rolleyes3 ) to one's reservoir one evening, return to the grow room the next afternoon to find almost every leaf on the floor... Stupid veg-head moves like that. But, in general, DWC can be great for learning this stuff because you see results to changes much faster and usually can rectify mistakes quickly. And, assuming that you've got sufficient levels of dissolved oxygen (MAD amounts of DO should always be the DWC grower's first priority), I believe that a plant can endure higher temperatures than in soil; given the container sizes that we work with, and the root mass sizes, the act of transpiration appears to be easier. This can also mean that the seven gallons of water you dumped into that very large plant's reservoir before you went to work are nowhere to be found when you return home that evening because the plant took it up and transpired that much via the stoma in its leaves (natural cooling mechanism) in order to stay healthy on that unexpectedly hot day. Water consumption rates can be surprising (and that's from someone who knows an acre of corn can transpire 3,000 to 4,000 gallons of water per day and that a single large oak tree can transpire as much as 40,000 gallons per year). This has been an official ~TS~ ramble, lol. You talk about flushing, what do I do to accomplish this and when? 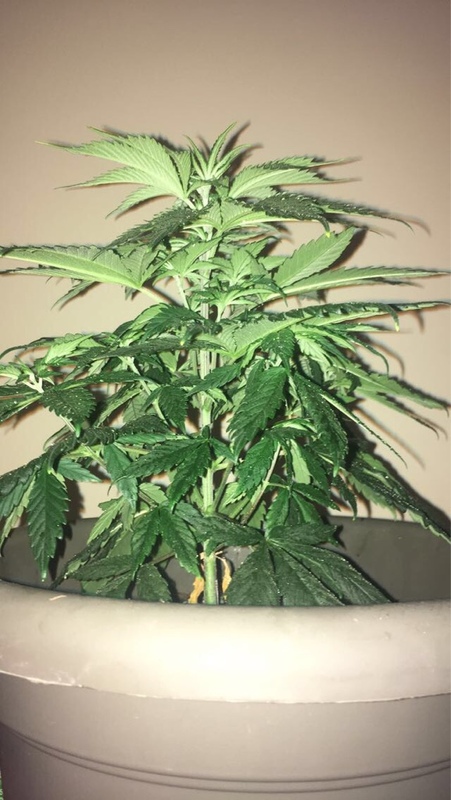 I think im ready to FLUSH, so what do i do? 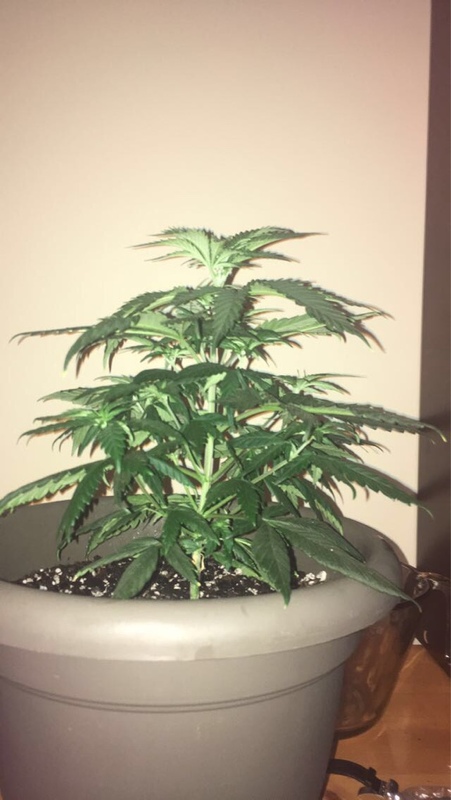 Is a 10 day flush enough? Does anyone have experience with Elite Part A&B and Elite Resin D nutes? 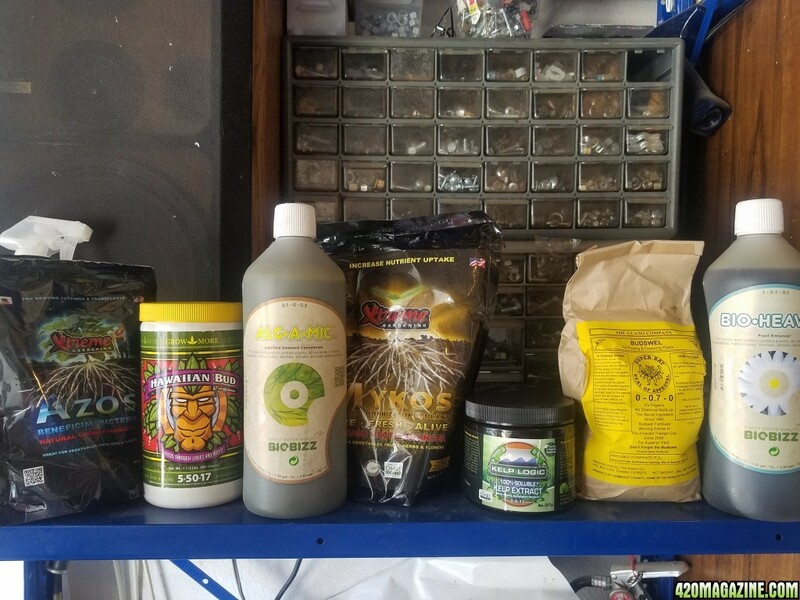 The guy at the hydro store highly recommended them and since I was out of my General Hydroponic nutes, which gave airy buds, I gave in and bought it. Hopefully my plants respond well. No experience with that but have had nothing but big dense buds with GH 3 part series of nutes, best of luck to ya. 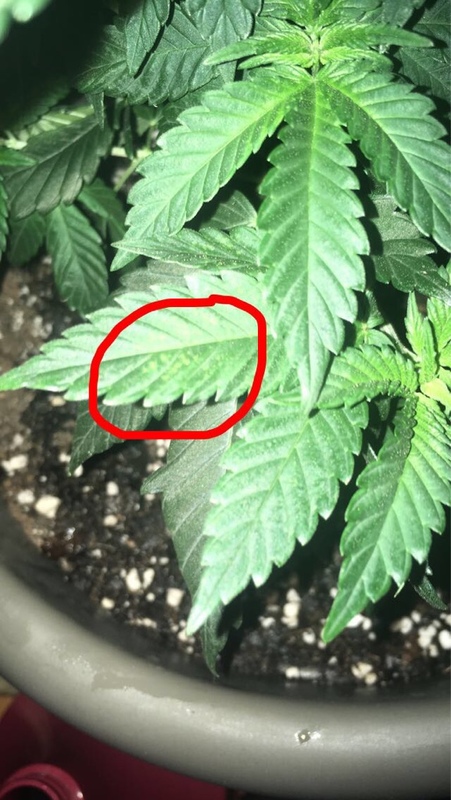 Hey all, first time grower so just wanted to get something clear, don't want to over feed my babies. I'm going with the GH Flora Grow, Micro, Bloom series, I'll also be using ferti-lome root stimulator & plant starter. Is it supposed to be constant feeding through those cycles? 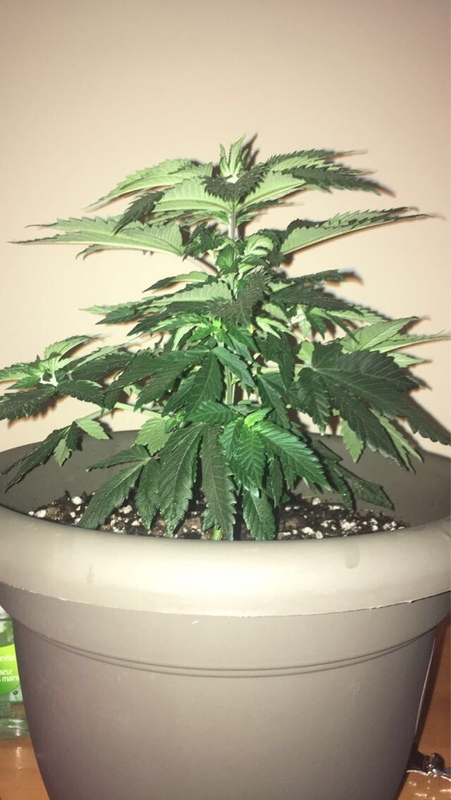 So week 1, I'll be using a 5 gal pail, mix 12.5ml of the grow, micro & bloom for 5 gal bucket and continuously feed them from that? Or only feed them once from that and use regular PH'd water the remainder of week 1? I assume it's continuously just want to double check and make sure I won't be over feeding them. What are you growing in something like pro - mix? Yes, sorry didn't mention that. For the first 12 days just use ph'd distilled water. On day 13 give them a light feeding 2 ml calmag, 1 ml of grow, 1 ml micro and 1 ml of bloom feed them the same 3 days later. 3 days later do 2 ml calmag 1 1/2 ml of grow, 1 ml of micro and 1/2 ml of bloom and again in three days. By day 28 you should have worked your way up to 4 ml of calmag, 3 ml of bloom, 2 ml of micro and 1 ml of bloom. All this is of course ph'd. You will then switch the nutes around when you get into flower. Are you growing indoors or out? Best of luck feel free to ask more questions you need and I will try to answer.